If you are familiar with the Passover story, you will know that the killing and eating of lambs is pretty central. 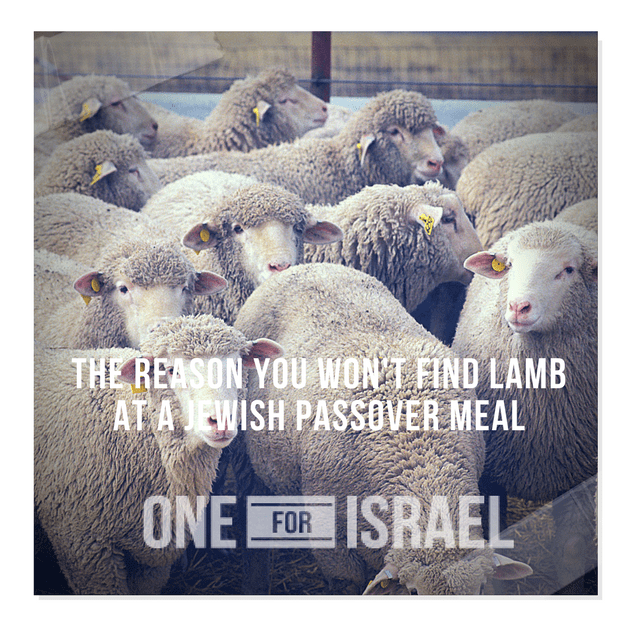 So you might be surprised to hear that you will almost never find lamb on the table of your average Jewish Passover meal.Why is that? But even so – the whole assembly slaughters IT? 2 Chronicles 35:11-13 repeats the same story – one lamb [“Pesach”] sacrificed for the many. This points to God’s intention, that the Feast of Passover is about one lamb: the Lamb of God, who takes away the sin of the world. When looking at Jewish history, however, the Mishna describes in detail how the festival was celebrated around the time of Yeshua, and it seems that each family had their own Passover lamb. While the temple was still standing, it was usual for the people of Israel to descend upon the city of Jerusalem, and bring a lamb or goat for each family to be slaughtered. The priests would ritually sacrifice the animals and take a bowl of the blood to pour on the altar, before giving the meat back to the family to be cooked on pomegranate branch skewers and enjoyed in the evening. Due to the large numbers arriving, there sacrifices were done in three “sittings” so to speak. So a lamb per family, as you might imagine from the instructions in Exodus 12. But after the fall of the temple in 70 AD, there was a rabbinic dispute about how to proceed on this matter, along with many others. Opinion was divided about whether to have each family sacrifice and eat their lamb or goat at home (Rabbi Gamaliel’s proposal), or to avoid the lamb issue altogether, since only priests could carry out such sacrifices in the temple according to Jewish law – for that to happen, they would have to wait for the Messiah to come, and for the rebuilding of a new temple. 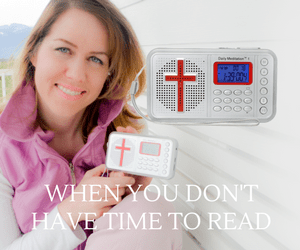 It wasn’t long before those opposing Gamaliel’s home sacrifice suggestion gained control and threatened anyone defying the ban with excommunication. A couple of generations after the death and resurrection of Yeshua, the practice of sacrificing animals for Passover stopped altogether. From that time forth, lamb was off the table and off the menu. There are small numbers of radicals who, since Passover 1968 (after the recapturing of Jerusalem in 1967) have been trying to sacrifice lambs on the Temple Mount – an extremely politically dangerous thing to do. They have never been granted permission, and so have secretly be sacrificing their Pascal lambs nearby, but earnestly long for the practice to be reinstated. But it was, after all, on that very spot that God told Abraham not to kill Isaac, assuring him that “God himself will provide the Lamb” (Gen 22:8). Many generations later, he did, for it was also in Jerusalem that Yeshua shed his blood and became our Passover sacrifice. At ONE FOR ISRAEL, they strive to share the Gospel of Yeshua the Messiah (Jesus Christ) with Israeli Jews and Arabs in the Hebrew language. Their staff is comprised of both Jewish and Arab Israelis, with the shared belief that true peace in the Middle East can only come into existence under Yeshua (Jesus). One For Israel also has a college - Israel College of the Bible, was originally founded in 1990. They have the largest Messianic library in Israel. Find out more at their BIBLE College Be inspired by viewing the various videos with testimonies of Jewish Evangelism in Israel. In addition they are well known for their Testimonies (I MET MESSIAH) and Israeli Testimonies. Be sure to follow One For Israel on Facebook.